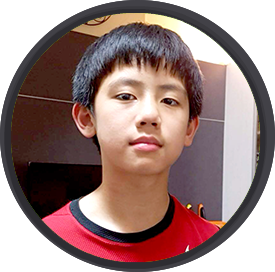 Today’s post features Jen-Hsuan H., a 12-year-old student from Nan-Kwang Junior High School School in Tainan City, Taiwan who built his own challenges using CodeMonkey Challenge Builder! What is a typical day at school like for you? I study at Nan-Kwang Junior high school. I’m in 7th grade. My typical day is as all the students in Taiwan. My favorite subject is Math. Numbers are interesting. When and where do you normally get to code? I normally get to code on my free time at home. What was the most important feature for you when you were building your challenge? There are a lot of challenges to players in my games. [My challenges] are not easy to pass . What was the inspiration behind your creations? Why did you choose the theme or style that you did? I like bananas, so I hope the monkey can get lots of bananas. Being able to design and build my own challenges is important to me because… I have lots of fun and I can share it with my friends. What is one piece of advice you have for those who have not yet created their own CodeMonkey challenges? Just do it! If you don’t try it, you never know it. Check out Jen-Hsuan’s challenges below! Hey, these are great challenges. I’m wondering if you have an instruction for students to read first before they solve the challenges? Hey, awesome question. The great thing about Coding Adventure is that students can get started without prior background or instruction. However, when taught in a class, teachers receive lesson plans that they can utilize so students get the guidance they may need.